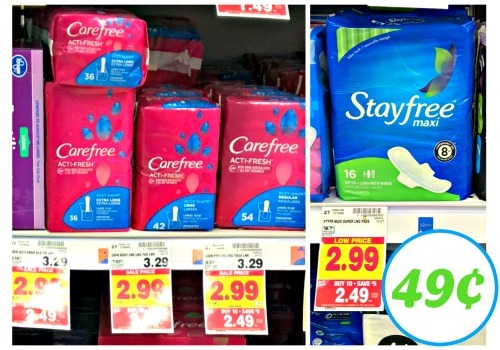 Print your new Carefree, Stayfree, and Playtex coupons then head to Kroger for these deals! 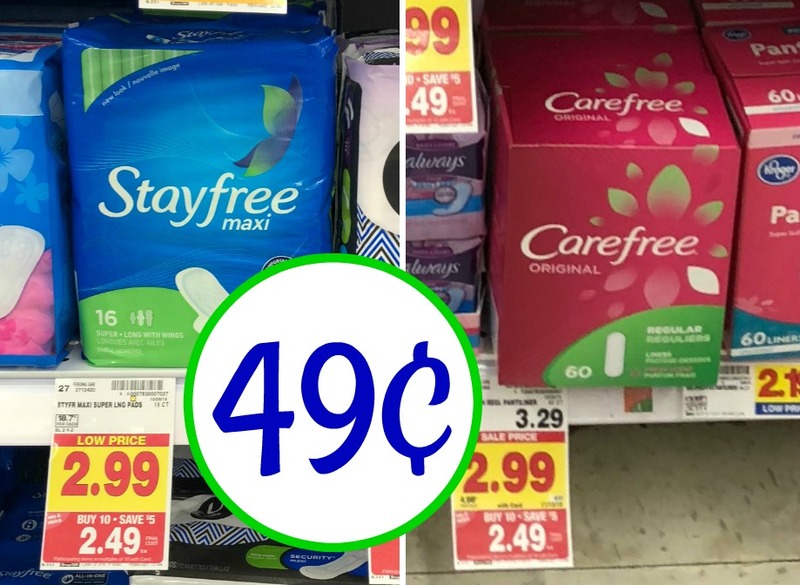 You can get Carefree & Stayfree Products for only 49¢ and/or Playtex Tampons for as low as $2.49 after coupon and mega savings. 49¢ after coupon, cash back, and mega savings. 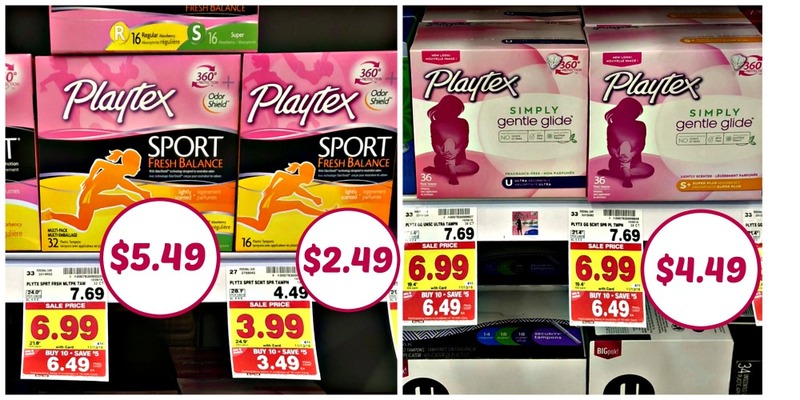 $2.49 after coupon and mega savings. $4.49 after coupon and mega savings.